"13 hours in a flying box, a grilling by USA customs (rite of passage), walked past Sticky Fingers at the airport, and now chilling in the foyer of the Westin. Hello Los Angeles!" From left to right: Elliott Hahn, Rachel Fels (ROYES), Josh King, Monique Matthews (MØNIQUE) and Luke Pauley. 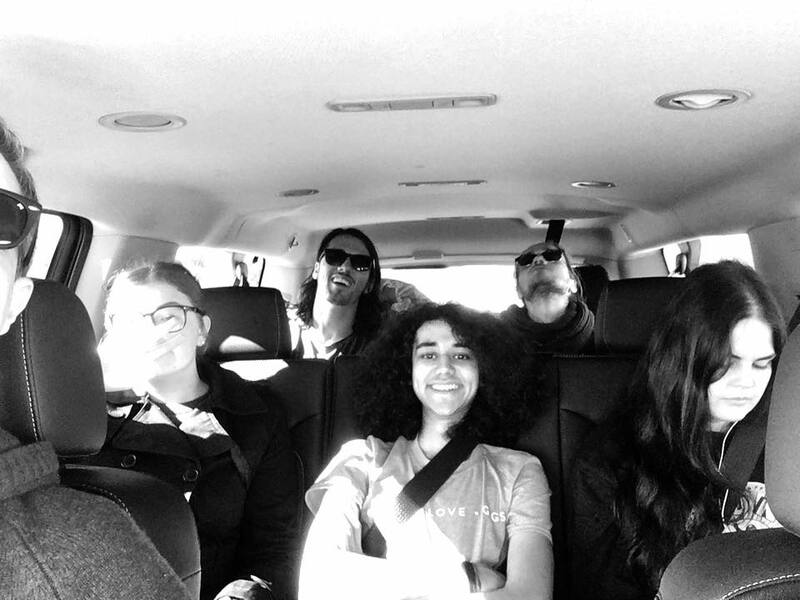 In November last year, five lucky Bachelor of Popular Music (BPM) students took the trip of a lifetime to America. Over a couple of weeks they visited the TAXI Music Conference in Los Angeles, did songwriting collaborations in Nashville and explored the Ground Zero Blues Club in Mississippi. Now they have had some time to reflect, we decided to touch base with MØNIQUE, Josh King and ROYES to find out some of the juicy details of their trip. Did anything about America surprise you? ROYES: I’m not sure what I was expecting, but I was surprised by how great the music culture is in America. It was similar to Australia, but people seemed to react differently to music, in a positive way. Their enthusiasm and excitement is infectious - as cheesy as that sounds! It’s such a diverse music scene over there, yet a lot of the genres intertwine in some way. The culture in America is fascinating and they love their pop culture. I found the people to be really nice and welcoming, and all the American burgers I ate have probably made me a borderline diabetic now haha. I’d go back again in a heartbeat. JOSH: I think the thing that surprised me the most was how inclusive everyone was of musicians. Everyone we met – even non-musicians – were totally on-board with what we were there to do, and were really supportive! It was really cool to have everyone be so welcoming and kind. MØNIQUE: I didn’t have any massive expectations of America, but some things still really surprised me. Given that America is so big, with so many people, I assumed people would be very self-orientated and just do their own thing, but everyone we had the pleasure of meeting was really friendly and often had some really applicable advice. I know Nashville is considered one of the music capitals of the world, but actually being there, it astounded me just how much music there is. It’s nothing like Australia. There’s music in every bar (and there’s a lot), on every corner at all times of the day constantly. It’s incredibly inspiring to feel apart of. Group photo at Tom's Wall in Florence, South Carolina, USA. 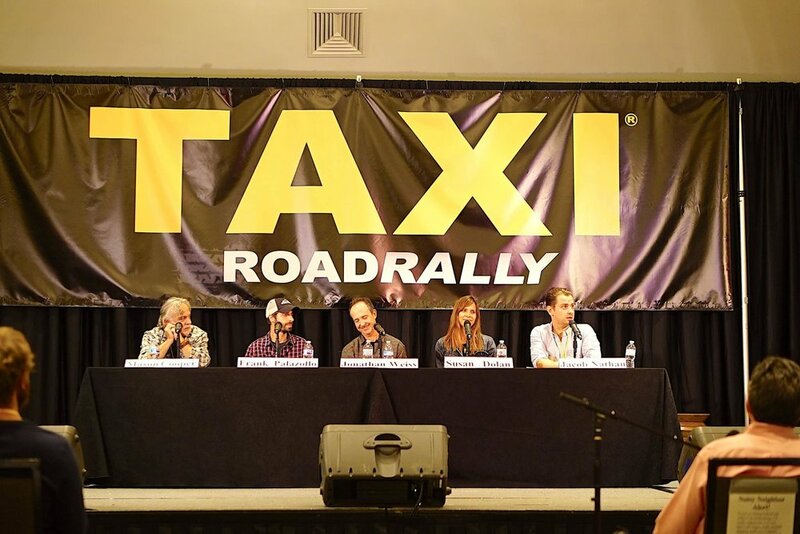 While you were in Los Angeles, you went to the TAXI Music Conference. What was your biggest takeaway? MØNIQUE: The biggest thing I took away from TAXI was that everyone who is high up, offering us this really great advice, started at the bottom too. They just kept working and working until things started to happen for them, and then they worked more. No one starts at the top of the game. ROYES: One of the best talks that I went to at TAXI was songwriter Jason Blume talking about his writing process and how he decides when a song is finished. He got onto the topic of re-writing, and mentioned that he always rewrites his songs, sometimes seven or eight times or more. That was my favourite piece of information that I learned at the conference - just keep rewriting until it’s right. JOSH: The main thing for me were all the connections that I made. Meeting people like Jason Blume, Derek Nakamoto and Joey Esquibel were particular highlights! There were obviously lots to learn from the talks as well, but I think that from a long term perspective the relationships are far more important! During the TAXI Music Conference, our tour leader extraordinaire Garry Smith outdid himself by organising a private dinner with some heavy hitters in the American Music Industry. Lots of laughs, good food and plenty of incredible advice and information. It was also great to catch up with BPM alumni Jessie Jess! "Attending another open mic night despite being exhausted. Our brains may be fried but we are learning lots!" From left to right: Caleb James, Luke Pauley and Josh King. ROYES: My favourite part of the trip was the week the we spent in Nashville. 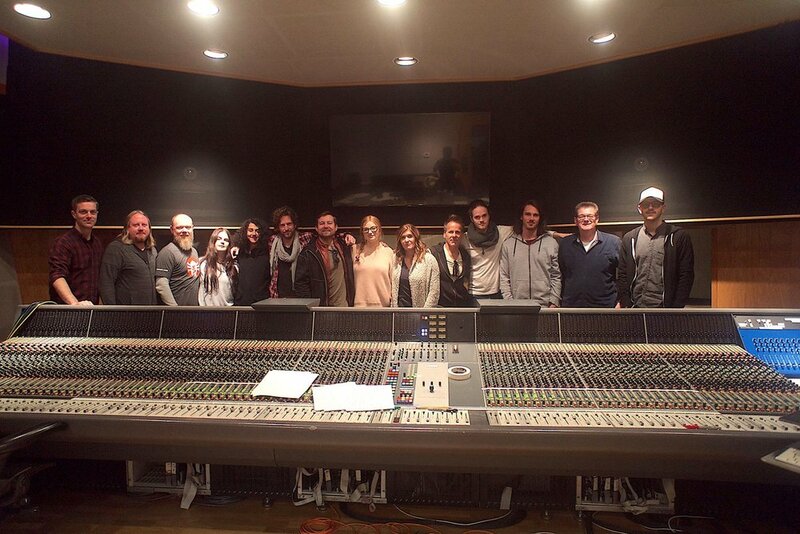 We got to write with some amazing songwriters, and then record a few of the songs at Ocean Way. Crazy inspiring. There was also a Mexican restaurant we all went to a couple of times called Chuy’s that was pretty grand as well. We got to go to a few of the main guitar stores and the Grand Ole Opry at the Ryman, which was a bucket list item for me. I also really enjoyed the trip down to Clarksdale and getting to go to the home of the Delta Blues, and all of the music that came with that. Getting to experience the 'smaller town vibe' as opposed the that of the larger cities was really interesting. JOSH: The highlight for me was the Nashville contingent of the trip. I just loved the culture, the people, the writing, the studios – I’d definitely love to go back there one day! Broadway was amazing too! We got the chance to go into a bar on Broadway and watch some bands play – they’re all so good! MØNIQUE: My highlight from the trip was absolutely the writing we did in Nashville. We wrote with students from MTSU (Middle Tennessee State University), and hit songwriters like Trey Bruce. We got to experience the way sessions are run over there, how they have different approaches to writing a hit, and just generally how the writing rooms in America operate. It’s difference to how it is back home, but the passion and love of music and writing was common for everyone. It was an incredible opportunity and it was made more incredible when we got to record with Scott Gerow at Ocean Way Studios in the heart of Nashville with some crazy session musicians. My mind was blown. We also got to stay at the Ground Zero Blues Club in the lofts in Clarksdale. The blues music in that town was incredible, eye-opening and seriously, seriously real. 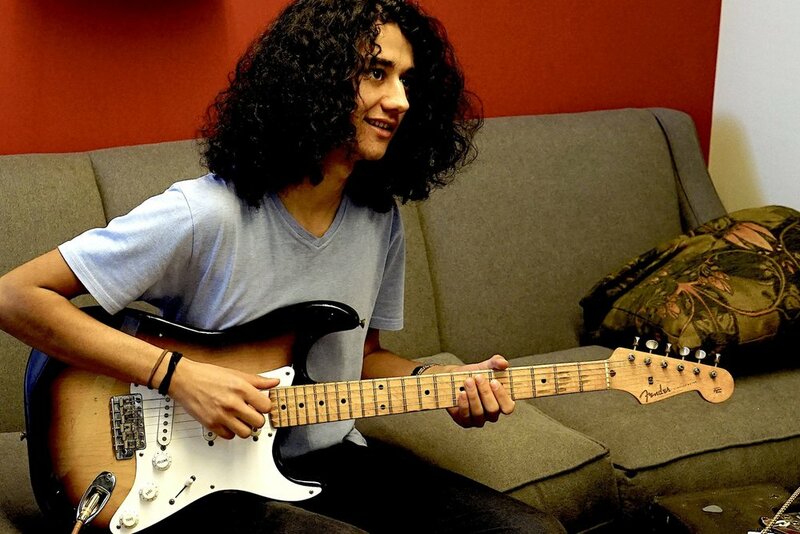 Photo taken at Ocean Way Studios after recording 5 songs we had co-written. Josh King and MONIQUE songwriting with Diona Devincenz. Elliott Hahn and MØNIQUE songwriting with Trey Bruce. What was it like doing the songwriting sessions with the students from Middle Tennessee State University (MTSU) and the other songwriters? ROYES: The first thing the MTSU students said to me was something like: ‘If it doesn’t look good on a t-shirt, it shouldn’t be the name of the song.’ I’m still not sold on this, but I do think it makes a lot of sense. I found their approach to songwriting to be very commercial, and they had a direct process in their heads from the get go which made the session go smoothly. Most of their techniques and approaches to writing were pretty similar to those we use. I was lucky enough to write with two other writers as well, Diona Devincenzi and Trey Bruce, who are both amazing songwriters. I learnt a lot about the importance of melody structure and theory in the writing process from these guys. Their approach was slightly different in the way that they wrote more towards the artist that the song was intended for. During each of the writing sessions, I learnt so much from Diona, Trey and the MTSU students, and also from a few of my fellow BPMers (Bachelor of Popular Music students) who were on the trip. MØNIQUE: There were some very key differences for sure, but it made the sessions way more exciting because I felt like I was learning every step of the way. A lot of the writers were very hit-orientated, and actively set out to write a song that could be a hit. This has never been a process of mine, as I normally walk into a session just wanting to get a great song, whether it’s a hit or not, so it was really, really cool seeing what techniques the Nashville writers employ to get a song on the radio. It opened up a whole new range of thinking for me. JOSH: I had a great learning experience when writing at MTSU. I found that the way that the way the student I wrote with talked about melody was really interesting there. With the other writers – Diona and Trey – I feel as if I learnt the most. Diona was very open to all ideas when writing and had a real sense of musicianship in my opinion which I really liked and found to be an asset. Plus, she was a John Mayer fan so we got along great. As for Trey, I found the way that he picked the concept apart to get the core of the song was really interesting and useful. Also, the way in which he wrote out his melody and phrasing was really smart in my opinion – definitely learnt a great deal! ROYES songwriting with Middle Tennessee State University students. Hanging with George Gruhn from Gruhn Guitars - a truly fascinating, eccentric and highly knowledgable man. Trips overseas often make you reevaluate the world and see yourself differently. Did you learn anything new about yourself? MØNIQUE: I learnt that while I love home, and I love Australia as a whole, I feel like there is so much for me to learn in places like Nashville, LA, London, New York, everywhere. I don’t want to be confined to one place, like Australia, no matter how much I love living here. I’m excited to make a move once I finish my degree to continue working with incredible writers across the world. That’s the dream anyway. JOSH: I’m not so sure as of yet. I think that over the next few months it’ll kinda become a bit clearer. One thing I can say though, is that I learnt the importance of sleep. I remember on our first few nights in LA I stayed up till 2 and 3 in the morning, and then nearly missed the opening keynote of the TAXI Conference. MØNIQUE songwriting with a student from MTSU. For someone who has never been to America, what would you recommend they check out? MØNIQUE: Man, oh man. The Mexican restaurant in Nashville called Chuy’s. So good. Would also recommend staying away from Taco Bell. No good. I also think to get the most out of America, you need to be open minded. It’s a bit of a culture shock, but the people are incredible and for the most part will help you if they can, you just have to be open enough and driven enough to go after what you want. JOSH: I think that going to Broadway would be the thing you had to see. It’s so amazing to see the neon signs, the bands, and just the way that the crowds interact with the bands! It’s next level. ROYES: This might be a bit overly ‘touristy’, but I really enjoyed checking out Broadway in Nashville. The CMA’s were on whilst we were there, so there were people everywhere, and every one of the bars along the strip had a different band playing. The atmosphere was amazing, and the first place that we walked into played two Aussie songs in a row! Enroute to Tupelo, Mississippi USA. From left to right: Caleb James (Queensland Conservatorium Griffith University lecturer), MØNIQUE, Elliott Hahn, Josh King, Luke Pauley and Rachel Fels. And finally - did you discover (or rediscover) any new music while you were travelling? MØNIQUE: The debut album from Harry Styles got me through the long plane rides. I’d also forgotten how good both albums from Catfish and the Bottlemen are, so they got me through the long road trips. Some wicked tunes on there. Also, at the TAXI Conference, I heard a songwriter named Michael Anderson talk about his song, “Maybe It Was Memphis”. I’d never heard of it before and didn’t get a chance to look it up before we left the conference. Then when we went to the Grand Ole Opry, Pam Tillis came on stage and started singing this song, and I remember thinking that I’d heard/read the lyrics before, and sure enough, she was playing “Maybe It Was Memphis”. I ended up really liking the song – and a big part of it was hearing what it was about at TAXI. ROYES: I rediscovered a heap of old blues and country music from my childhood that I hadn’t heard for years whilst over there, and I’ve started listening to it all again now! Most of the music I heard in Nashville bars and restaurants was exactly what you’d hear on any given night in North Queensland, which I thought was pretty cool. I regained my appreciation for that style of songwriting again. Ground Zero Blues Club, Clarksdale Mississippi USA. The Shack-Up Inn in Clarksdale, Mississippi USA. The Grand Ole Opry in Nashville, Tennessee USA.